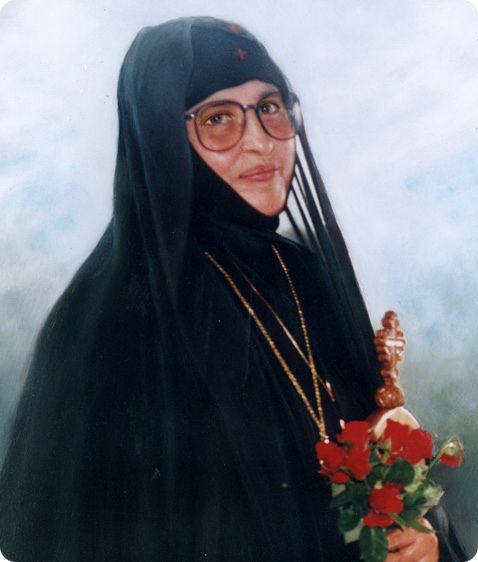 In as much as I see the great uproar which is happening in our Church because of the various movements of groups in favor of unification [of churches], as well as the interaction of the Oecumenical Patriarch with the Pope, I was pained as Her child, and considered it good, besides my prayers, to send a small thread (which I have as a poor monk), that it too may be used as a means of stitching together the multipart garment of our Mother. I know you will show love and share it only with your religious friends. Thank you. First of all, I would like to ask forgiveness from everyone for being bold to write something when I am neither holy nor a theologian. I trust everyone will understand me, that my writing is nothing more than an expression of my deep pain for the unfortunate stance and worldly love of our father Patriarch Athenagoras. It appears he loved another modern woman—which is called the Papist Church—because our Orthodox Mother has not made an impression on him at all, for She is so modest. 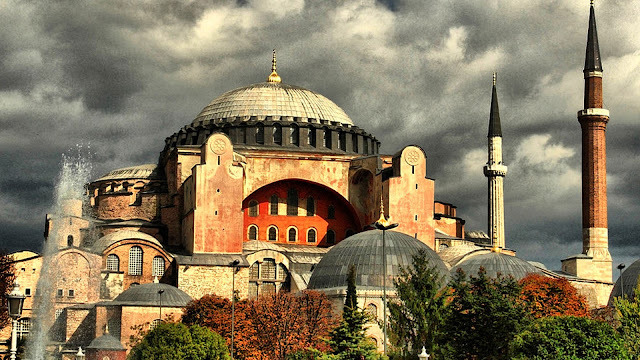 This love, which was heard from Constantinople, caused a sensational impression of sorts among many Orthodox, who nowadays live in an environment of such meaningless love, in cities across the entire world. Moreover, this love is of the spirit of our age: the family will lose its divine meaning from just such kinds of love, which have as their aim breakup and not union. With just such a worldly love the Patriarch takes us to Rome. While he should have shown love first to us his children and to our Mother Church, he unfortunately sent his love very far away. The result, it’s true, delighted the secular children who love the world—who have this worldly love—, but completely scandalized us, the children of Orthodoxy, young and old, who have fear of God. With sadness I must write that among all the “unionists” I’ve met, never have I seen them to have either a drop or shred of spirituality. Nevertheless, they know how to speak about love and union while they themselves are not united with God, for they have not loved Him. We should recognize that there exist not only natural but also spiritual laws. Therefore, the future wrath of God is not averted by a convocation of sinners (for then we shall receive double the wrath), but by repentance and adherence to the commandments of the Lord. 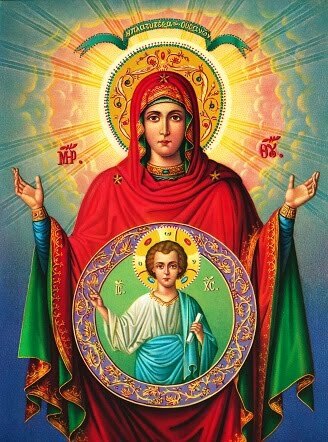 When He must needs, the Lord will bring forth the Mark of Ephesuses and Gregory Palamases, so as to bring together all our scandalized brethren, to confess the Orthodox Faith, to strengthen the Tradition, and to give great joy to our Mother, the Church. In times past we see that many faithful children of our Church, monastics and laymen, have unfortunately broken away from Her on account of the unionists. In my opinion, separation from the Church each time the Patriarch makes a mistake is not good at all. From within, close to the Mother Church, it is the duty and obligation of each member to struggle in their own way. 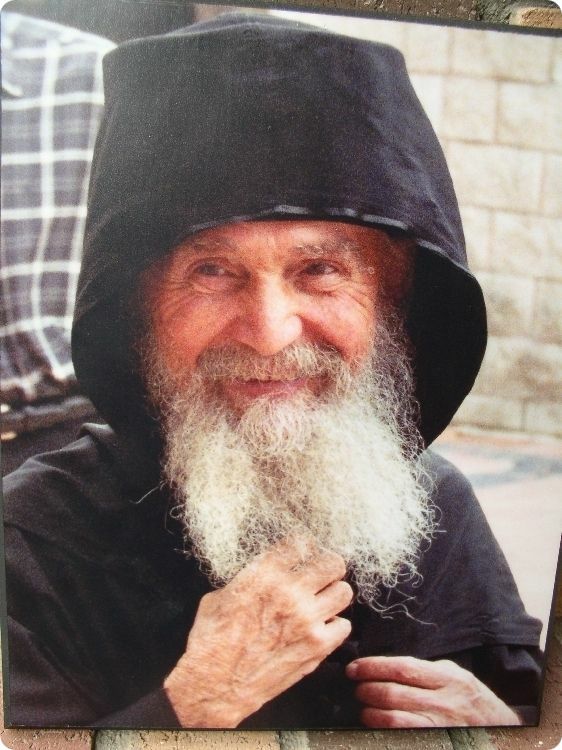 To cease commemoration of the Patriarch; to break away and create their own Church; and to continue to speak insultingly to the Patriarch: this I think, is senseless. If, for this or that occasional deviation of the Patriarchs, we separate ourselves and make our own Churches—may God protect us!—we’ll pass up even the Protestants. It is easy for one to separate but difficult to return. Unfortunately we have many “churches” in our times, created either by big groups or even just one person. Because there happened to be a church in their kalyve (I am speaking about things happening on the Holy Mountain), they figured they could create their own independent Church. If the unionists gave the Church the first wound, the aforementioned give the second. 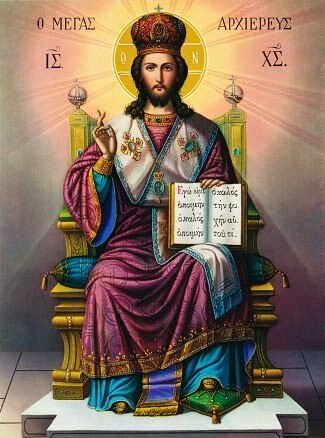 Let’s pray that God will illumine all of us, including our Patriarch Athenagoras, that union of these “churches” will come about first; that tranquility would be realized within the scandalized Orthodox fold; so that peace and love would exist among the Eastern Orthodox Churches. Then let’s think about union with other “Confessions”—and only if they sincerely desire to embrace Orthodox Dogma. I would further like to say that there does exist another, third group, within our Church. They are the brethren who remain as Her faithful children, but who don’t have spiritual concord between themselves. They spend their time criticizing one another, and not for the general good of the struggle. The one monitors the other (more than himself) to see what he will say or write so as to ruthlessly nail him. However, if this person had said or written the same thing, he’d certainly have supported it with numerous passages from the Holy Scriptures and the Fathers. Great harm comes of this; for while the one injures his neighbor, the other strikes him back before the eyes of all the faithful. Often times, disbelief is sown in the souls of the weak, because they are scandalized by such people. Unfortunately, some from among us make senseless claims against the others. We want them to conform to our own spiritual character. In other words, when someone else doesn’t harmonize with our own character, or is only mildly tolerant—or even a little sharp—with us, immediately we jump to the conclusion that he is not a spiritual person. We’re all needed within the Church. All the Fathers, both the mild and the austere, offered their services to Her. Just as the sweet, sour, bitter and even pungent herbs are necessary for a man’s body (each has its own flavor and vitamins), the same is true of the Body of the Church. All are necessary. The one fills up the spiritual character of the other, and all of us are duty bound to endure not only the particular spiritual character, but even the human weaknesses we each have. Again, I come sincerely asking pardon from all for being so bold to write. 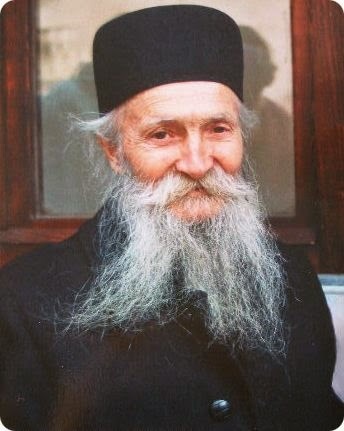 I am only a simple monk, and my work is to strive, as much as I am able, to divest myself of the old man, and to help others and the Church, through God, by prayer. But because heart-breaking news regarding our Holy Orthodoxy has reached even my hermitage, I was greatly pained, and thus considered it good to write that which I felt. Let’s all pray that God grants His Grace, and may each of us help in his own way for the glory of our Church. This is the last known epistle sent by the Ever-memorable Elder Paisios. 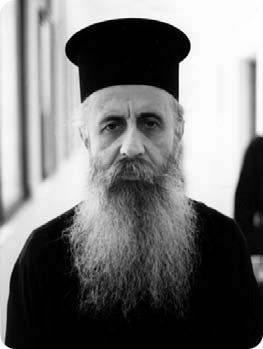 Archimandrite Haralambos Vasilopoulos was the Abbot of the Holy Monastery of Petraki, Athens, and founder of the Pan-Hellenic Orthodox Union and its organ Orthodoxos Typos. Translated and sent to the OCIC by a Priest who wishes to remain anonymous. 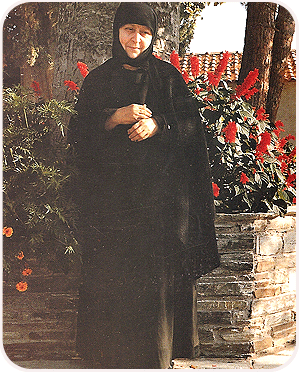 The Greek original appeared in the October, 2007 issue of the fine periodical Orthodox Heritage. Posted on 11/12/2007.